Dr. Navid Eghbalieh specializes in Vascular & Interventional Radiology, Interventional Oncology, as well as Diagnostic Radiology. Dr. Eghbalieh is dual board certified in Interventional Radiology and Diagnostic Radiology. Dr. Navid Eghbalieh received his Bachelors degree from UCLA, were he ranked in the top 1 percent of his graduating class being awarded Bruinlife Senior of the Year. During his time at UCLA he was additionally recognized with the National Dean’s Honor List, Golden Key National Honor Society, Phi Sigma Biological Honor Society, the Distinguished Bruin Award by the UCLA Alumni Association, Chancellor’s Service Award, and Phi Beta Kappa. He received his medical degree from USF during which he completed multiple publications and was recognized for his multiple art exhibitions. He completed his internship year at UCSF, where he received the UCSF Outstanding First Year Resident Award. He subsequently completed his categorical residency in Diagnostic Radiology at Tulane University School of Medicine, during which he was acknowledged for his research contributions regionally and nationally, and received multiple awards including the Best Radiology Resident and Outstanding Research Awards. 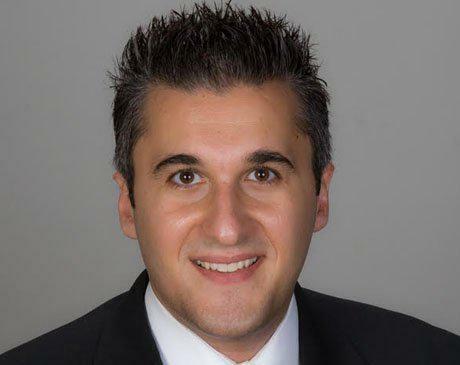 Following his Diagnostic Radiology training, Dr. Navid Eghbalieh completed a fellowship in Vascular & Interventional Radiology at the competitive and prestigious UCLA David Geffen School of Medicine. He is currently part of Professional Imaging Medical Group (PIMG), working alongside an amazing group of radiologists (Drs. David Broumandi, Gregory Paranay, Dharmesh Patel, Henry Shih, Shendee Teng, Kia Vahidi, and Barry Wilen). He is also a member of multiple medical staff committees at Providence Holy Cross Medical Center, and is an Assistant Clinical Professor of Vascular & Interventional Radiology at UCLA. Dr. Eghbalieh is seeing patients in Porter Ranch, Valencia, Sherman Oaks, and Los Angeles areas.